Hadhrat Sayyid Nūr Muhammad Badāyūni, may Allah be pleased with him, was one of the shining pearls of the Naqshbandi order. He was a Sayyid, that is, a descendant of the Messenger of Allah, sallAllahu alaihi waSallam. He completed the study of the Islamic sciences at the age of eighteen, from his teacher Muhammad Sharīf (d. 1124H/1712). 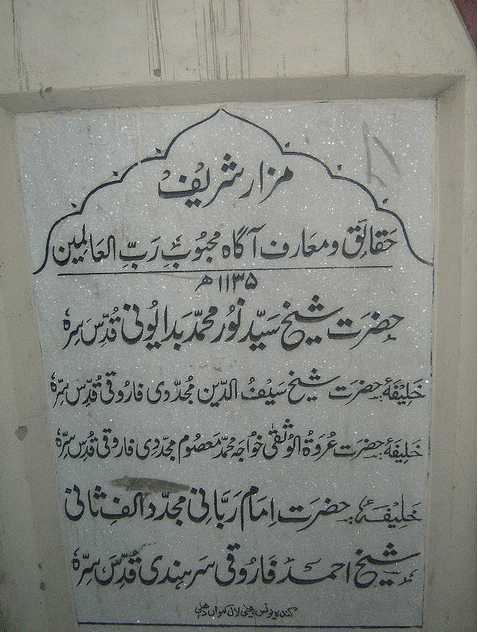 He received sufi training and spiritual blessings from Khwaja Muhammad Saif ad-Dīn Sirhindi Fārūqi, the grandson of Imam Rabbani Shaykh Ahmad Sirhindi. 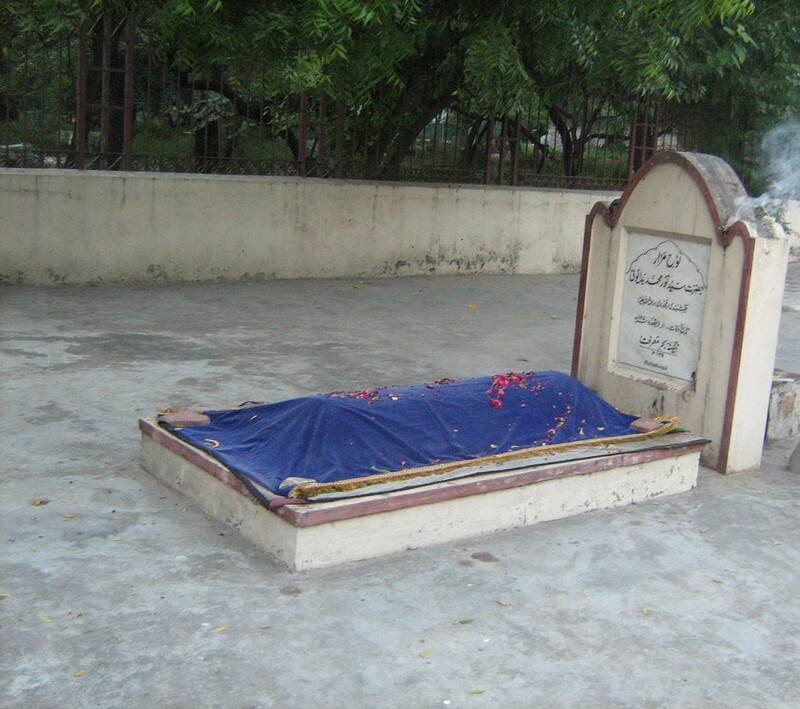 After his shaykh’s demise, he received spiritual guidance from Hadhrat Hāfiz Muhammad Mohsin Dehlavi, who was the grandson of Shaykh Abdul Haqq Muhaddis Dehlavi. His back had curved due to excessive murāqiba (meditation). He had a strong kashf and would easily observe the spiritual light or darkness in the hearts of his disciples. Once a murīd of him was coming to him, and on his way he looked upon a non-mahram woman. Upon arrival, the shaykh told him that he was affected with the darkness of Zina (adultery), and it seemed that he had looked upon a non-mahram. Once his servant met an alcoholic. When he came to the shaykh, he told him that I see darkness of alcohol in you, perhaps you have met an alcoholic. Then he said that meeting with the Fāsiq (sinful) people disturbs the Nisbah (spiritual state). The great Naqshbandi master and sufi poet Hadhrat Mirza Mazhar Jān-e-Jānān (d. 1195 AH) was his khalifa and successor. He used to say that Hadhrat Sayyid’s kashf was so powerful that sometimes what we could not see with our physical eyes, he would see with his spiritual eyes. Sayyid Nūr Muhammad was an example of extreme piety and taqwa. He never ate from the food of the wealthy. If he had to loan a book from some person, he would not start reading until three days later, and would say that the books are also affected by the darkness of the company of wealthy. 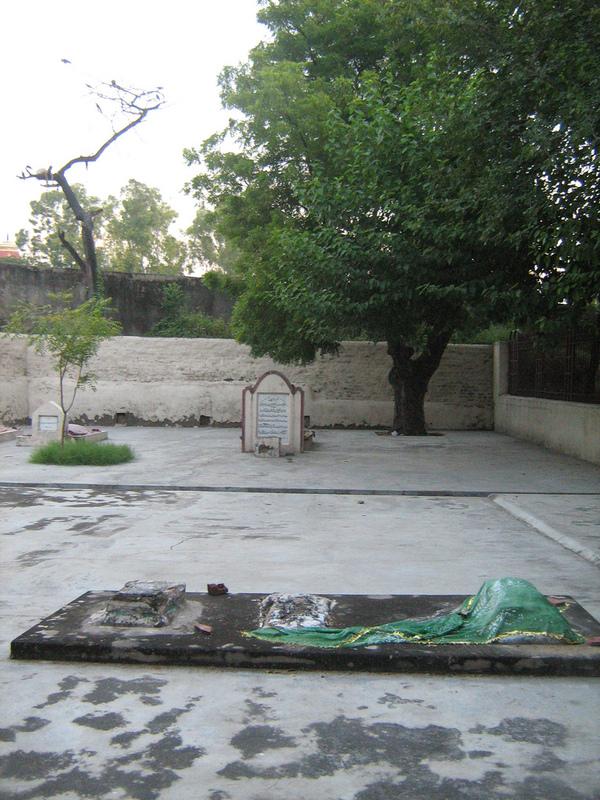 He passed away on 11 Dhu al-Qada 1135 AH (12 or 13 August 1723) and is buried in Delhi, near the shrine of Khwaja Nizāmuddīn Auliya. Millions of Naqshbandi followers today receive his spiritual Fayd in their hearts. 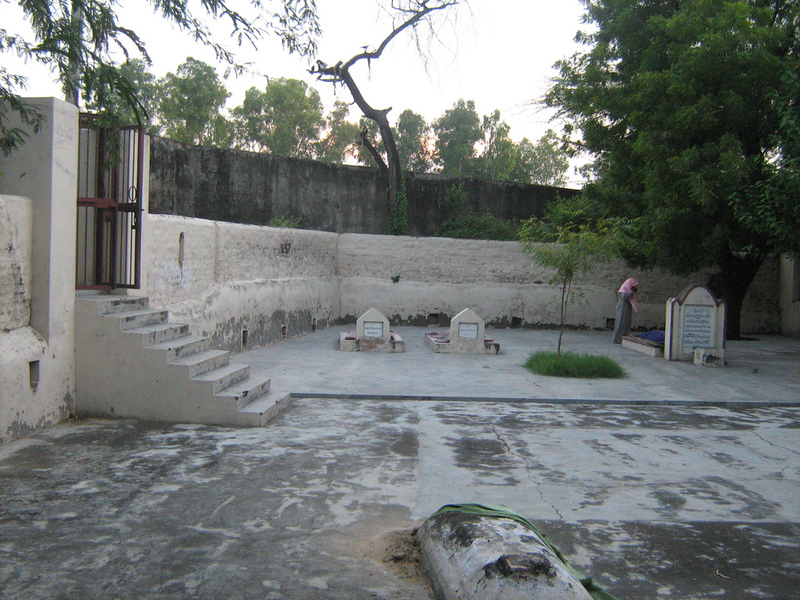 Even the founder of the Tablighi Jama’at Muhammad Ilyās Kāndhalvi used to meditate at his noble grave for receiving blessings. 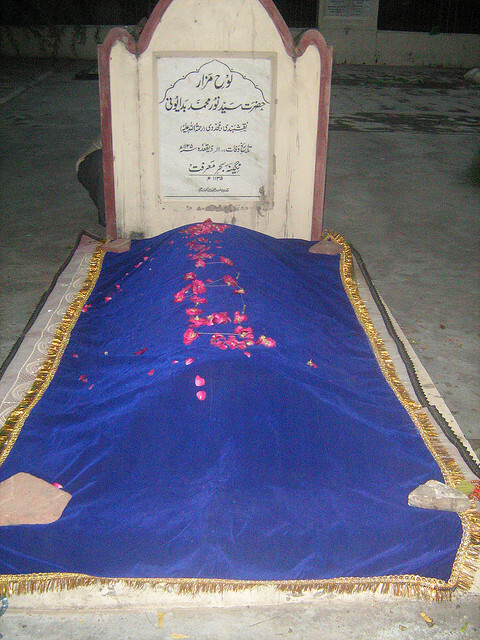 The next in the Naqshbandī Mujaddidī Tāhirī spiritual golden chain is Mirzā Mazhar Jān-i-Jānān. This entry was posted in Ahl al-Bayt, India, Masha'ikh and tagged Badayuni, Naqshbandi, Sayyid. Bookmark the permalink. Old Delhi, Qabristhan Panch peeran, under Nizamuddin Area. Good to ask khadim of Khanqah Shah Abul Khair Rahmatulla Alaih. metro station jungpura, walking distance from there. My grandfather, who was from Badaun/Badayun, said that Hazrat Nur Mohammed (qs) was also the Pir of the Mughal Emporer Aurangzeb.